With their swampy riffs and mud-covered rock n’ roll, the North Mississippi Allstars have always honored the past while keeping an eye on the future. That tradition continues with their forthcoming album, Prayer For Peace, a collection of Allstars originals as well as reinterpretations of works by legendary artists that have influenced the band. Anchored by core members and industry vets Luther and Cody Dickinson, the Allstars have earned a well-deserved reputation as blues masters. Despite Prayer For Peace being the band’s eighth album, the brothers’ passion for playing is still front and center. Building on the success of 2013’s World Boogie is Coming, the band continues to explore global themes with Prayer For Peace. As the first song on the album, the title track sets the mood early with messages of inclusion and calls for equality. With a driving bass line and funky drum beat, the song is an optimistic rallying cry that gets the heart beating and the mind thinking about the evolution of societal peace. Another standout is their uptempo take on the classic gospel song “You Got to Move”–a bluesy standard made famous by Mississippi Fred McDowell. The track features the impressive and soulful vocals of Danielle Nicole which provide a classical twist on the Allstars’ modern musical approach. They also pay tribute to Mississippi blues legend R.L. Burnside with their take on “Long Haired Doney,” which should carry a warning label for its insane amount of funky electric slide guitar. In what could be a risky move, the album was created in five different studios and features co-production; recording took place in hubs of the blues scene–Memphis (at the legendary Royal Studios), New Orleans, St. Louis–and includes co-production from Memphis legend Boo Mitchell. Even with many hands in the pot, Prayer For Peace is remarkably cohesive, and the most refined production of the Allstars’ work to date. Too often bands try to adapt or evolve to conform to the whims of the modern music scene, and in the end, forget who they are and from where they came. Fortunately, the North Mississippi Allstars have long mastered the art of blending tradition with contemporary influences; while more mature and polished, the band maintains the same core rocking blues style (after eight albums!) and keeps it fresh and exciting. 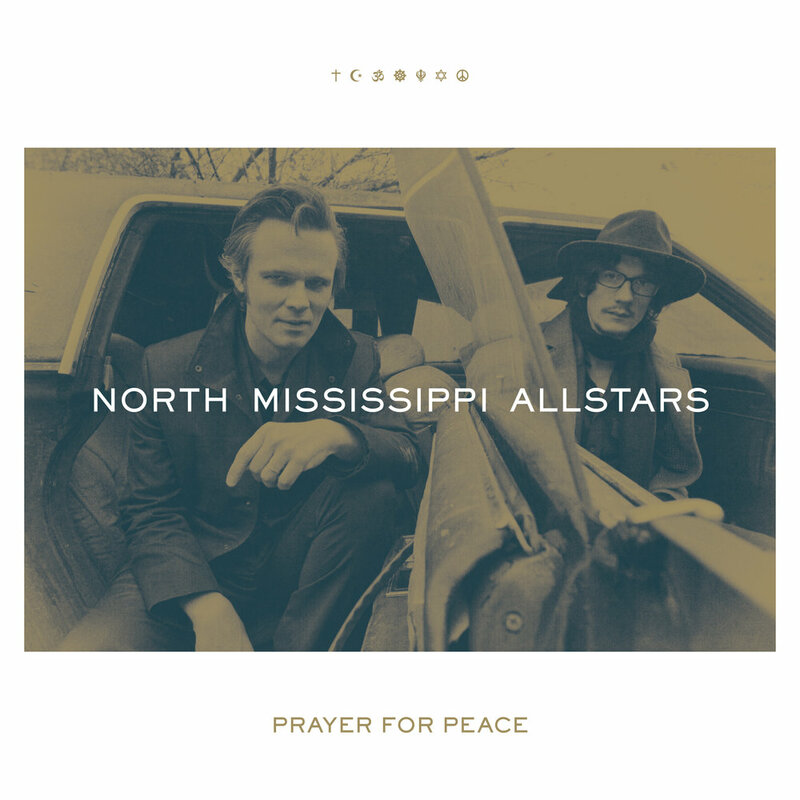 With Prayer For Peace, the North Mississippi Allstars prove yet again why they are stalwarts of the contemporary blues and blues rock realm.